1. A.E.H.M members use hypnosis/hypnotherapy within the limits of their professional training and skills and according to the laws of the country they practice in as hypnotherapists/hypnotists. 2. Maintaining the health and wellbeing of the clients is the priority of the A.E.H.M members. They do not engage in any activity that would jeopardize the above listed. 3. A.E.H.M members work with their hypnosis clients only after the clients have read and signed the hypnosis consent form. 4. Under no circumstances the A.E.H.M members involve in any verbal, sexual or physical violence or abuse with their clients nor in any form of scam. They shall treat their clients with respect and compassion. 5. The A.E.H.M members who are licensed as medical or psychology professionals shall use the term “patient” when they refer to the people with medical and psychological ailments they work on during hypnosis/hypnotherapy sessions and use the term “client” if they work with people who desire hypnosis/hypnotherapy sessions for personal or spiritual development. The A.E.H.M members who do not have a license to practice medicine or psychology shall use the term “client” when referring to the people they work with during hypnosis sessions. 6. A.E.H.M members who do not have medical or psychology license do not diagnose or treat people and do not prescribe medication. They help their hypnosis clients to use in an efficient way their inner resources, to activate and mobilize their inner healing mechanisms, to stimulate and strengthen their body’s innate mechanisms of adaptation, regeneration and rebalancing and to become motivated and determined to reach the goals they address during the hypnosis sessions. 7. A.E.H.M members who do not have medical or psychology license cannot work with clients diagnosed with psychiatric disorders. In case of pain management session they have to make sure that the client has undergone the necessary medical investigations and the pain does not mask any undiagnosed condition. 8. If an A.E.H.M member has the suspicion that a patient/client may have an undiagnosed medical or psychological disorder she/he shall recommend that the client consults a specialist. 9. A.E.H.M members shall be honest about the nature of their titles and degrees and truthful in their advertising. 10. 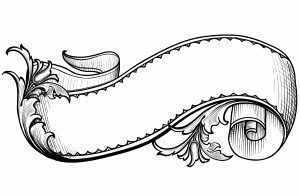 A.E.H.M members shall treat the hypnotists/ hypnotherapists belonging to other associations with respect, without creating conflict or defamation. 11. A.E.H.M members shall cooperate with the clients’ psychotherapists and medical doctors. 12. AEHM members shall use a positive, encouraging, non-violent language with their clients and have a positive attitude, being an example for their clients regarding the way a person should behave in every situation. 13. Unless they have a license to practice psychotherapy and psychoanalysis, A.E.H.M members shall not practice hypno-psychotherapy and hypno-psychoanalysis. 14. A.E.H.M shall hold members accountable for any departure from the above principles, which may include revocation of membership. 15. A.E.H.M members benefit from continuing education, a platform of collaboration with the other members and professional support from the trainers. 16. 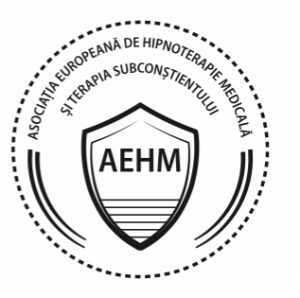 A.E.H.M assumes no responsibility for the personal or professional decisions of its members and the persons who graduated the A.E.H.M. training courses.